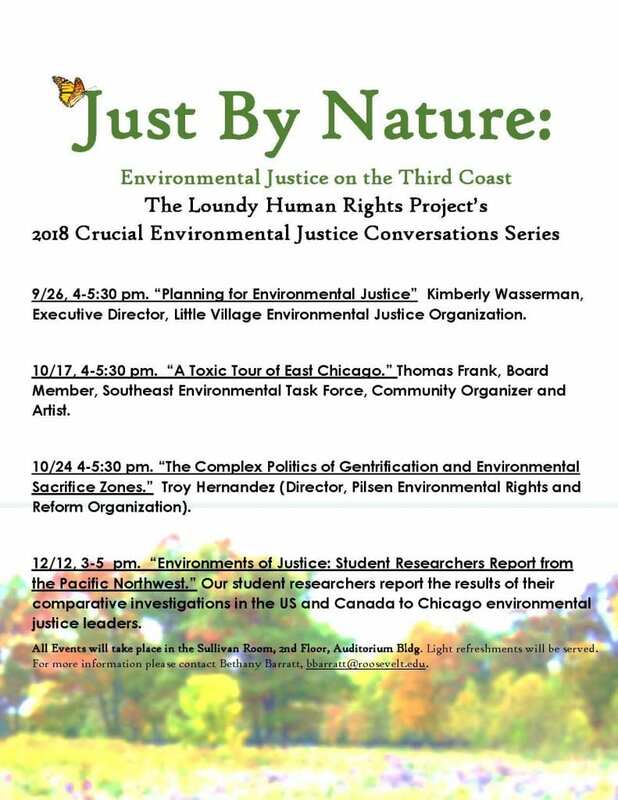 Lineup of “Just By Nature” environmental activism & justice events at Roosevelt University, Fall 2018. All events held in the Sullivan Room of the historic Auditorium Building @RU. For more info, contact Prof. Bethany Barratt (bbarratt@roosevelt.edu). This entry was posted in Chicago, Education, Events, Politics, Pollution, Roosevelt, Social justice, Students, Sustainability, Urban ecology, Waste & Recycling. Bookmark the permalink.